Dr Robert Pushkin (Culver City) - Book Appointment Online! 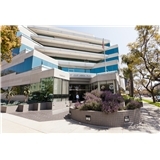 Dr Robert Pushkin is one of the most highly regarded OBGYN's in all of Los Angeles. He has been practicing for over 30 years and is board certified from the American Board of Obstetrics and Gynecology. He helps woman feel comfortable and is very knowledgeable in all aspects of his specialty. Dr. Pushkin is performing a special procedure for urinary stress incontinence.